All of the information on this website is based on the Driving Test in Ireland and you should use this site because it was designed to help make your driving test easier. This website has helped more people pass their driving test than any driving school in Ireland, with over 8000 users a month and 4500 unique users a month this site has become the biggest means of driving test information and driving test video reference information for the driving test in Ireland. 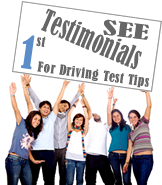 DrivingTestTips.ie also has a number of Driving Instructors who wish to help you pass your test. I hope to continue to help people pass their driving test because in these hard times I know that any help you can get will be appreciated and, "I only ask!" If you need the help of a driving instructor PLEASE use one of our listed approved driving instructors (ADI). 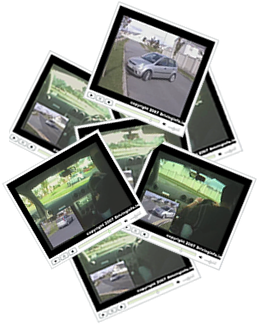 Our driving test video tutorials will teach you how to complete the under-bonnet checks, reverse around the corner, drive straight, turn left, turn right, navigate roundabouts, perform a hill start, use hand signals, and pull in and park on the left. They will give you a better understanding of how to make good progress while obeying the Rules of the Road and remaining vigilant to hazards. They will also teach you the proper use of mirrors, steering, the clutch, gears, and other controls. On this driving test tips website you will find a list of test questions, a glossary of road signs, an explanation of the driving test report form, and a comprehensive range of driving test video tutorials. Now with the increase in fees for the driving test it is even more important than ever that you prepare for the Driving Test.